Who hasn’t been stuck in a wardrobe rut? It’s inevitable. 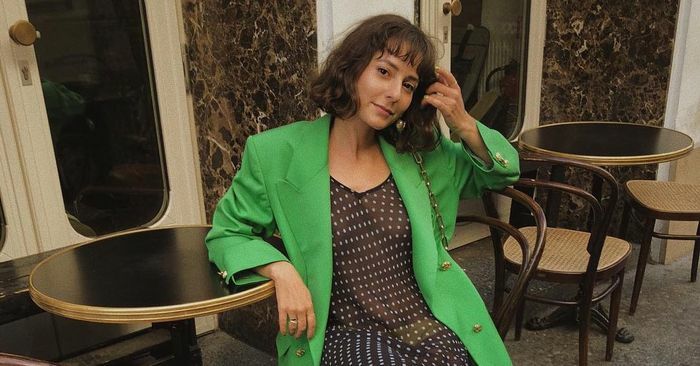 When that time comes, it’s helpful to turn to the incredible network of fashion girls on Instagram, who consistently dish out winning looks that always inspire. As of late, we’ve taken note of one particular combo that a few of our go-to street stylers have been wearing on repeat. Dress-and-blazer outfits are on the upswing, and it’s one pairing that you’ll want to work into your autumn rotation as soon as you can. Easy to re-create, the outfit consists of just two pieces you most likely already own: a dress and a blazer. You can mix and match textures (for example, a tweed blazer paired with a ribbed dress) or use the jacket as an easy way to elevate a simple LBD ensemble. There are so many possibilities, and that’s why we’re such fans of the two-piece combo. Ahead, see some of our favorite dress-and-blazer outfits, and then shop some blazers on the market that are perfect for fall.